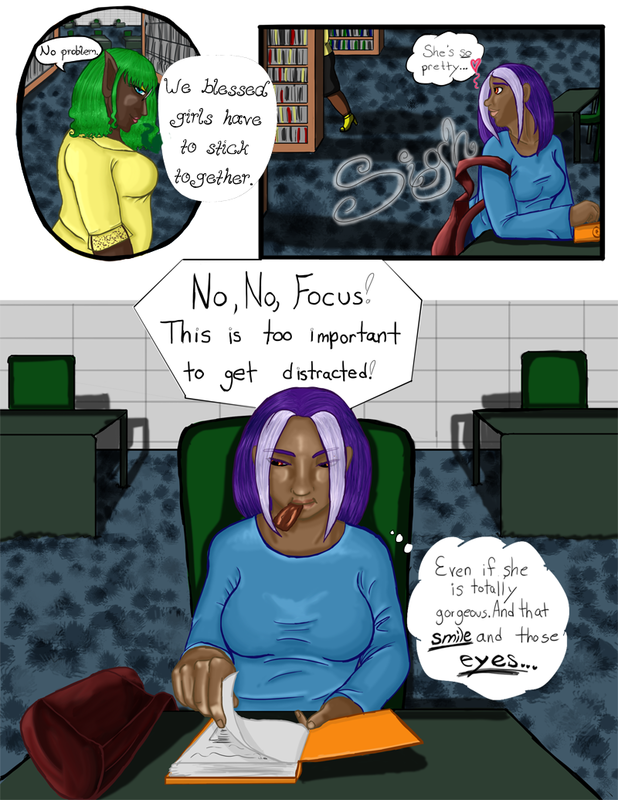 Chapter 01- Blessed - "Chapter 1 Page 9"
Librarian: No problem. We blessed girls have to stick together. Wynn: No, no, Focus! This is too important to get distracted!